Do you know where is Vermont? What city is the capital of Wisconsin? 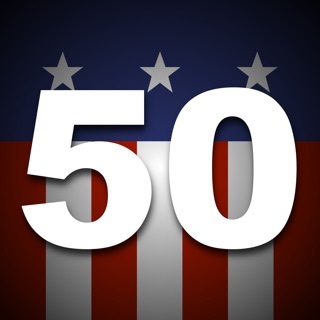 In this app, you will find all 50 states of the United States of America! All 50 state capital cities! All state flags and outline maps! From New England and the Great Lakes to the California coast and the Alaska wilderness! 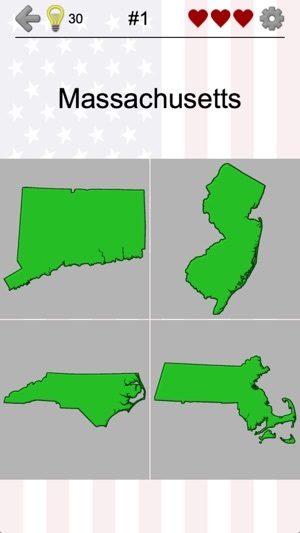 * Northeast (Massachusetts, Rhode Island, New Jersey etc.). 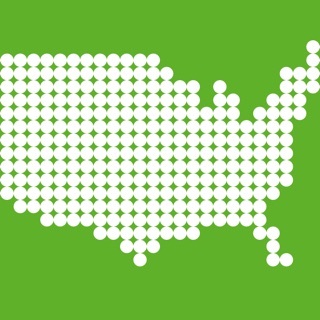 * Midwest (Ohio, Illinois, South Dakota etc.). * South (Alabama, Texas, North Carolina etc.). * West (Nevada, Oregon, Washington, and others). 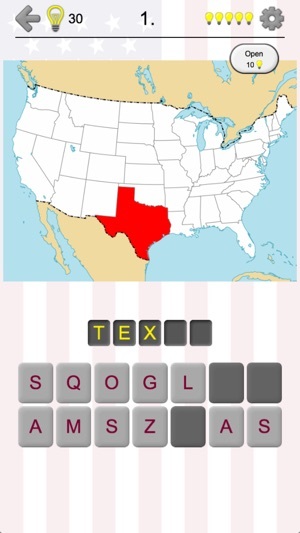 1) Guess the name or the postal abbreviation of the state highlighted on the US map (for example, LA is for Louisiana; OK is for Oklahoma). 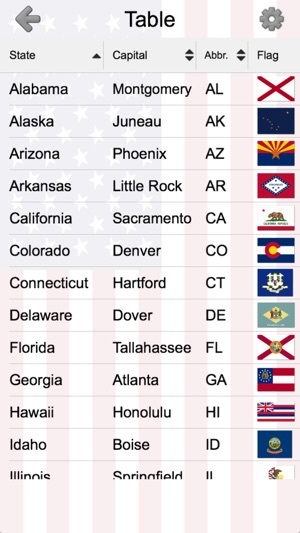 2) Spell the names of the state capitals (e.g. Salt Lake City is the capital of Utah; Lincoln is the capital of Nebraska). 3) Recognize the state by its geographical borders. 5) Dates of admission to the Union: from the First State - Delaware (December 7, 1787) - to the 50th state Hawaii that joined on August 21, 1959. 6) State nicknames: famous like ‘Sunshine State’ for Florida or ‘The Grand Canyon State’ for Arizona; and less-known such as ‘Land of Enchantment’ for New Mexico or ‘Mountain State’ for West Virginia. * Spelling quizzes (easy and hard). 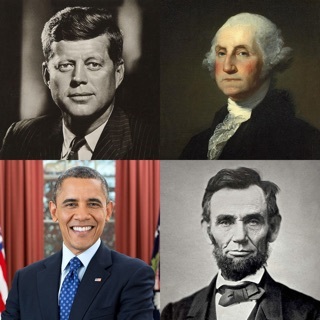 * Multiple-choice questions (with 4 or 6 answer options). It’s important to remember that you have only 3 lives. 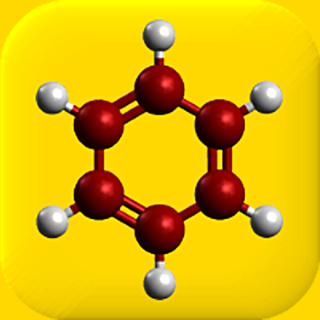 * Time game (give as many answers as you can in 1 minute) - you should give more than 25 correct answers to get a star. 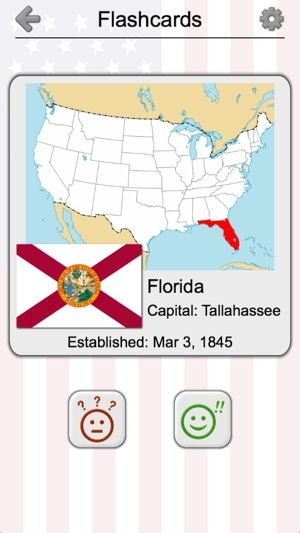 * Flashcards - browse information about each state without guessing. 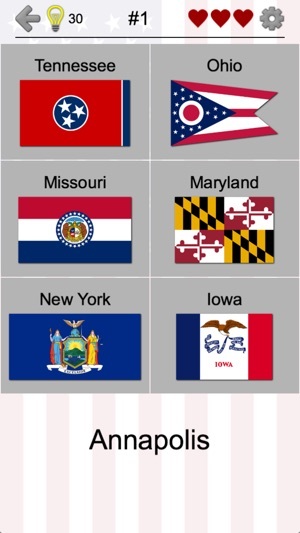 * Table of all U.S. states. 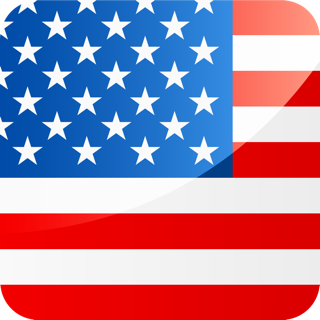 The app is translated into Spanish and 9 other languages - besides American English, of course. 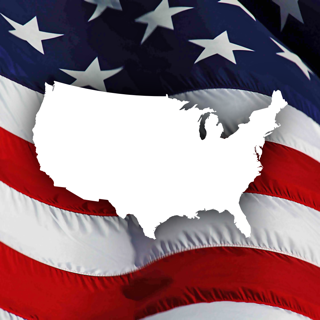 It is a great educational game for everyone interested in the geography of the United States of America. 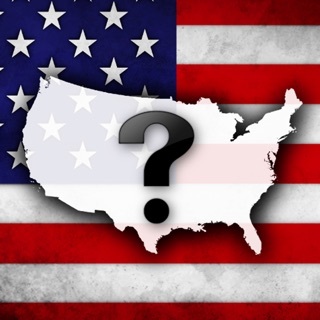 Guess the capital and the flag of your state! - Dates of admission to the Union. - Japanese and Ukrainian translations. 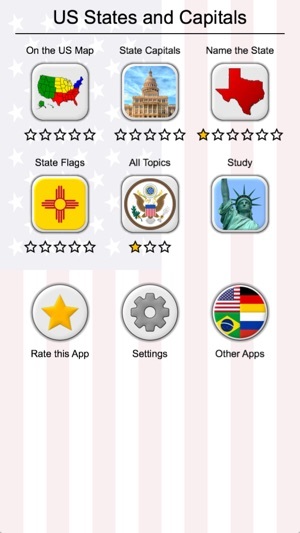 I love this app it was so helpful when i was studying for my states and capitals test and it just has everything else that has to do with states and is also super easy to use,I love it.